Department of Primary Industries (DPI) is committed to providing quality recreational fishing opportunities and ensuring sustainable management of our fisheries resources. To achieve these goals it is important to have accurate, up to date information on recreational fishing in NSW. In 2000-01, NSW participated in the National Recreational and Indigenous Fishing Survey (NRIFS). The NRIFS provided a benchmark for the assessment of recreational fishing and found that over 1 million NSW residents participated in recreational fishing. This survey showed that recreational fishing is an important activity that brings significant social and economic benefits to the community. During 2013-14, another major state-wide survey was conducted which enabled us to measure changes in the recreational fishery that occurred since the NRIFS. The results of the survey were published within the Fisheries Final Report Series (PDF, 3900.7 KB) and summary of the results as a pamphlet (PDF, 2396.3 KB). 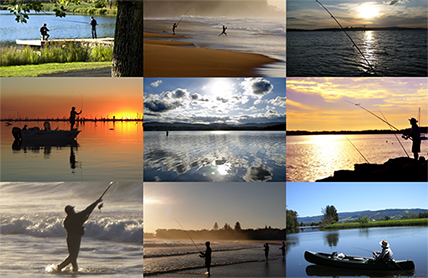 DPI has now commenced a third state-wide survey of recreational fishing. This research will be conducted in 2017-18 and will provide further information necessary for managing our valuable fisheries resources. The 2017-18 survey aims to find out who goes fishing, how much fishing is being done, where they fish and what they catch and will provide indicators to measure how the recreational fishery is performing since the previous two surveys. 1) Screening Survey – from August to September 2017, recreational fishers who possess a current NSW 1 or 3 year fishing licence will be randomly selected and asked a short questionnaire to determine if they have recently done any recreational fishing and intend to go fishing during 2017-18. 2) Diary Survey – recreational fishers with an intention to fish in the coming 12 months (as identified in the screening survey) are invited to participate in our diary survey. The diary survey will commence 1 October 2017 and continue for 12 months until the end of September 2018. How can recreational fishers help? The management of recreational fisheries is most successful when there is effective collaboration between government and recreational fishers. By working together, we can get the best outcomes for recreational fishing both now and into the future. The ultimate success of this project therefore relies heavily on the cooperation of the recreational fishing community. Importantly, all this research will be conducted on a completely voluntary and confidential basis. So whether you fish a lot or only occasionally, please help out if you are contacted about the survey. The information collected will be of immense value in providing a sustainable recreational fishery into the future. The 2017-18 Survey of Recreational Fishing in NSW is funded by the Recreational Fishing Saltwater Trust Expenditure Committee (RFSTEC). A primary aim of RFSTEC is to improve recreational fishing in NSW by providing funds from licence fees to a wide variety of programs to achieve this aim. We gratefully acknowledge the support of RFSTEC in enabling this important research to proceed.